Thanks to Telford 50 Legacy Fund, a wide range of communities have secured grants of up to £20,000 for projects that will help them regenerate or buy community buildings and facilities. View the list of groups and a brief description of their projects. Donnington Partnership Charitable Trust has secured a grant for solar panels installation. Coalbrookdale and Ironbridge Community Centre Association received funding to modernise the toilet areas. “This 50 Legacy grant has allowed us to modernise the toilet areas on both floors - which makes our centre more attractive to anyone to hire. We are looking forward to welcoming more groups and as such maintaining our centre as a vital resource for residents of Coalbrookdale and Ironbridge." Belmont Community Hall in Wellington received funding to replace its kitchen. The hall hosts a wide range of clubs and is at the heart of the community for the many residents who use it. Wellington Methodist Church secured a grant for replacing heating system. “The £2000 Telford 50 Legacy grant went towards replacing the heating system. This has significantly improved the facility for the many groups that use our hall and made it a more enjoyable environment, for years to come – a true legacy of Telford 50." Arleston Community Centre has secured a £3,916 grant to update the heating system at the centre including the installation of a new boiler and radiators. Horsehay Village Hall received funding to refurbish its kitchen. The hall is used by the community for a wide range of activities, from family parties, receptions, drama performances to dance and other indoor activities. John Newnes, Project Manager said: “Our village hall is over 100 years old and we are a small committee who look after maintaining it at the heart of the community." “We’ve been really pleased to benefit from a £15,403 Telford 50 Legacy grant from the Council. This has helped us to significantly refurbish our kitchen. The work includes plastering work, installation of a new flooring and decoration, fitting of a new door, frame and replacement of roof light and much more." Priorslee Pre-school is another group who successfully bid for a Telford 50 Legacy grant. Chairperson John Barker said: “With the help of the £1,854 Telford 50 Legacy grant we’ve managed to replace the boiler in the centre and to make further improvements to the heating system – such changes help to provide our children with a stimulating, comfortable and modern environment. The Sambrook Centre in the centre of Stirchley has received a £10,000 grant from Telford 50 Legacy Fund. Chair of the Parish Council, Jackie Loveridge said: “We are a community centre that prides itself with a wide range services including the Community Library, FairShare Credit Union and rooms available for local groups and agencies delivering services to residents. “To keep our activities at the very heart of Stirchley and Brookside community we need to continuously make our facilities better – as such, we were delighted to receive a £10,000 legacy grant to support our investment in the refurbishment of the centre. “The grant helped us to carry out the replacement of ceilings in three areas of the venue, namely the main area (low ceiling section), entrance area and the Green Room”. Waters Upton Parish Council has received a £6,000 Community Building and Facilities Grant from the Telford 50 Legacy Fund. The grant is to be used to contribute £5,000 towards the acquisition of the Parish Room Croft to ensure the village retains a green space. A village green and children’s play area will be created on the land for the use of the immediate and wider community. The remaining £1,000 will be used to convert the Parish Community Office into a meeting room and library. Admaston House (run by the Admaston House Community Centre Trust) received a £10k small buildings grant to install a lift in the Victorian part of the venue. The centre hosts a wide range of activities for different age groups and it’s recognised as a great community venue and a central meeting point for different groups. “The £10,000 Telford 50 Legacy grant from Telford & Wrekin Council that will go towards a new lift will significantly help us in our work. Wellington Amateurs Football Club is another group who successfully bid for a Telford 50 Legacy grant. “As such, with the help of the £13,104 Telford 50 Legacy grant, we are set to do a wide range of improvements in the coming weeks." Exotic Zoo in Priorslee has been awarded a grant of £16,502 to create a special sensory space within the solar dome at the Zoo in Priorslee. Scott Adams, Director of the Zoo said: “The Telford 50 grant has been greatly appreciated - with the help of it, we are currently turning the solar area within our Zoo into a space we could use for the community. “It will become a dedicated sensory area for vulnerable and hard to reach groups in Telford and Wrekin, where they can learn and be engaged in. “Or maybe come along to benefit in some animal assisted therapy. Special attention has been made to make it a great space for work with young people suffering from conditions such as ADHD and Asperger’s. “The area is being refurbished with artificial trees and plants to accommodate lots of exciting interactive activities and the path to the sensory dome is also being resurfaced, thanks to the Telford 50 grant. The Hindu Cultural Resource Centre in Dawley has been awarded a grant of £19,250 to completely refurbish the first floor of its centre and make it a functional space for the community to use for various activities. Mr Bhupendra Gohil said: ““Our Temple is the only Hindu Temple for Telford and Wrekin and as such, we serve quite a large community. “The space at the first floor has been unused for a while – but recently, with the help of a grant from the Telford 50 Legacy Fund, we’ve been able to make tremendous improvements, with significant refurbishments underway. " Dawley Baptist Church has also been awarded a £20,000 grant from the Telford 50 Legacy fund to go towards the building of an extension for community facilities, as part of the Church. Ian Olliver, Minister of the Church said: “We’ve always recognised the need for a larger community space in Dawley Bank that would enable more people to come together as a community and enjoy a wider range of activities. Sambrook Village Hall in Newport has received a £10,000 grant to upgrade its heating system and install a disabled access toilet. 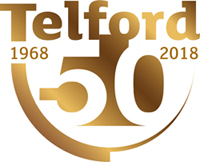 Neil Robson, Chairman of the Hall, said: “We are really grateful for the Telford 50 Legacy grant received – with the help of it, we’ve managed to already create a disabled access into the building and a disabled toilet. “We’ve also significantly updated what’s on offer in our main hall, with lots of activities from yoga classes, lunch clubs to dance nights. “There’s still more work to be done – for example, we plan next a refurbishment of the kitchen. Punjabi Cultural Academy received a Telford 50 grant to go towards an extension of the property, to create the Guru Nanak Punjabi Academy Learning Centre to support the learning of cultural heritage and languages for the Punjabi community. This build is expected to be completed in the next couple of weeks. The Legacy Fund scheme was open to bids earlier in 2018 from community groups, charities, social enterprises, town and parish councils, schools or faith groups. They could put forward their ideas for a share of the £240,000 grant to go towards improving a range of community buildings and facilities within Telford and Wrekin and helping create new facilities. Successful bidders also contributed an extra 20% cash in match funding. Here is how the groups could apply and the deadlines that were available.